Without a loo, what do you do? 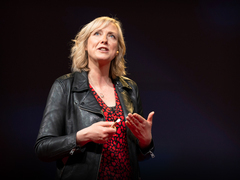 It’s a question dear to journalist Rose George (TED Talk: Let’s talk crap. Seriously.) In her talk, George shares a shocking fact: Forty percent of the world has no adequate toilet. What happens to clean water and public health in areas without adequate toilets, you ask? In her book, The Big Necessity: The Unmentionable World of Human Waste and Why It Matters, George examines the places where sanitation — or lack thereof — presents a major concern. To find out more about one of the world’s most overlooked problems, check out these four recommendations, three from George and one from an unexpected toilet hero. 4. Matt Damon goes on strike! Watch the video, then dive into the text on water.org.